The advanced Kenwood TM-D710GA follows in the proud tradition of the popular TM-D710A and TM-D700A. It adds an integrated GPS built right into the head. You will have a full 50/10/5 watts on both VHF and UHF. 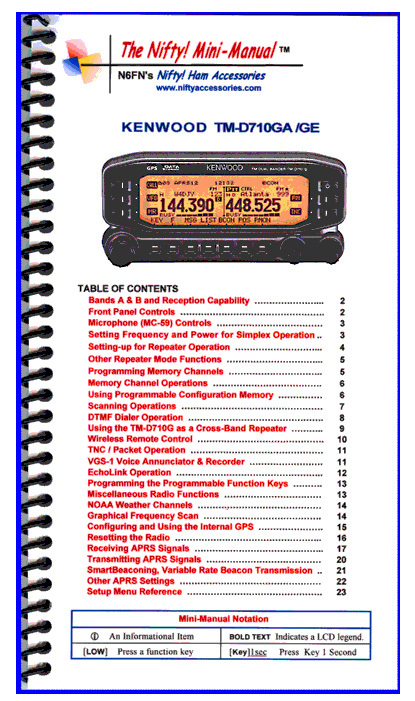 Key features include: internal clock for APRS® (Automatic Packet/position Reporting System) time and date stamp, APRS sort function, APRS filter function, APRS QSY function, APRS decay algorithm, APRS, proportional pathing, APRS voice alert, EchoLink ready, NOAA weather, 1000 memories and a sound card interface is built in. Versatile message with 100 messages (up to 67 characters each) is supported. There is also a NMEA 0183 GPS I/O port. And it can be employed as part of Kenwood’s Skycommand System II+ when used with the TS-2000 series. The screen may be set for orange or green. There is a clock/date function. 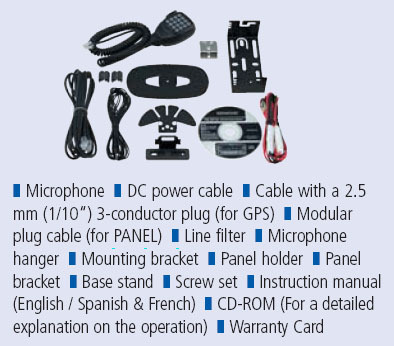 The Kenwood TM-D710G includes: DTMF hand mic, DC power cable, panel cable, mounting bracket, panel bracket, manual and CD ROM. 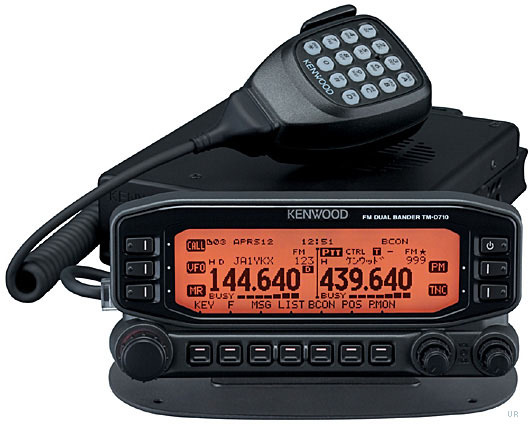 NOTE: On 08/31/18 Kenwood notified us that radios with serial numbers B8610001 and up no longer feature DTMF decode capability. #2949 VGS1 Vocal confirmation of frequency. Programming CD and USB-K5G USB to 8-pin mini DIN cable. For Windows XP (SP3), Vista, 7, 8, 8.1 (full) and 10. 24 laminated pages [4.5 x 8 inch]. Copyright 2013-2019, Universal Radio, Inc.